Check out Pembrokeshire Birds blogspot. to see Pembrokeshire bird sightings. Pembrokeshire Birds is regularly monitored for sightings by the national bird news services. Check out the recent bird sightings, sometimes with photos. Reports also come from the islands – Ramsey, Skomer, Grassholm, Skokholm. Recent sightings include Dunlin, Curlew, Sandpiper, Little Egret, choughs, Great Skua. I enjoy reading their blogs to see if I can spot some of the most recent birds also. 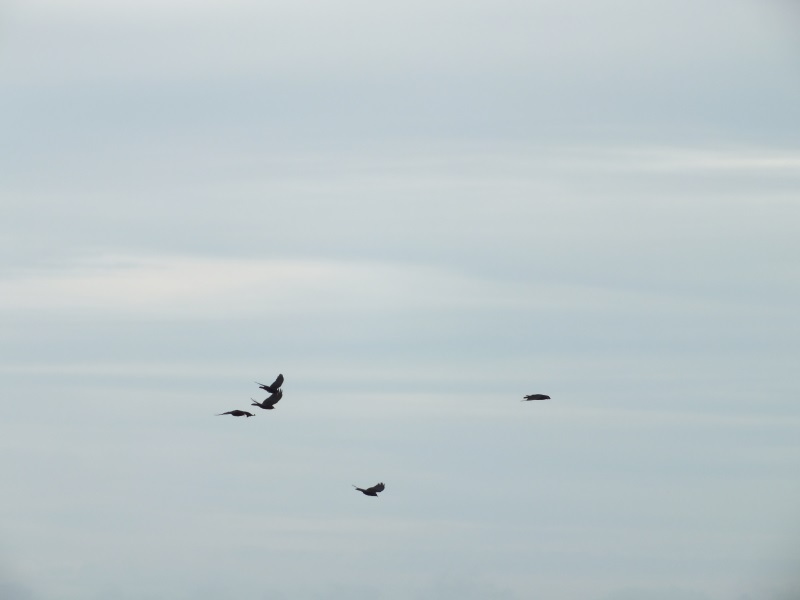 It has encouraged me to go with my binoculars to different parts of Pembrokeshire to try and spot these birds. Just seen the first two swallows on Treginnis farmyard. During the spring we have seen two Canadian geese, some duck, a lonely swan on Lower Treginnis pond. Greg and Lisa from Ramsey Island posted this on Pembrokeshire Birds on 5th April 2016 – Short-eared owl, red kite and merlin the highlights today. Chiffchaff, willow warbler, sand martin and swallow moving through. First blackcap of the year. Some of our visitors have seen chough around Treginnis headland.